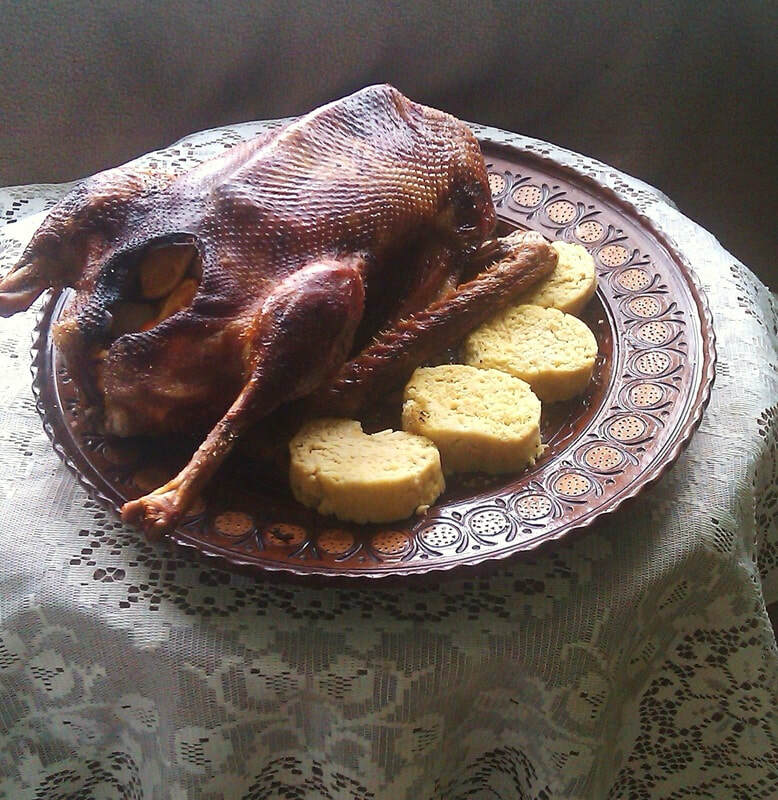 The almighty Goose is my favourite bird to eat over the festive season. 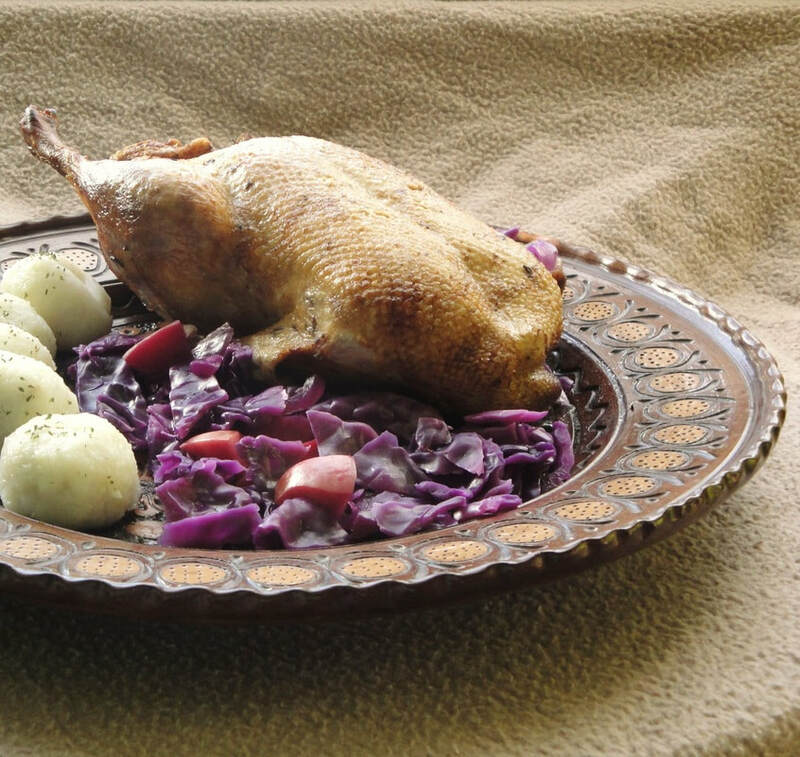 Goose is succulent, flavourful, and is very much like Duck; and much moister and juicier than Turkey. I've discovered a new way to prepare Goose and I love this delicious British sauce to go with it. 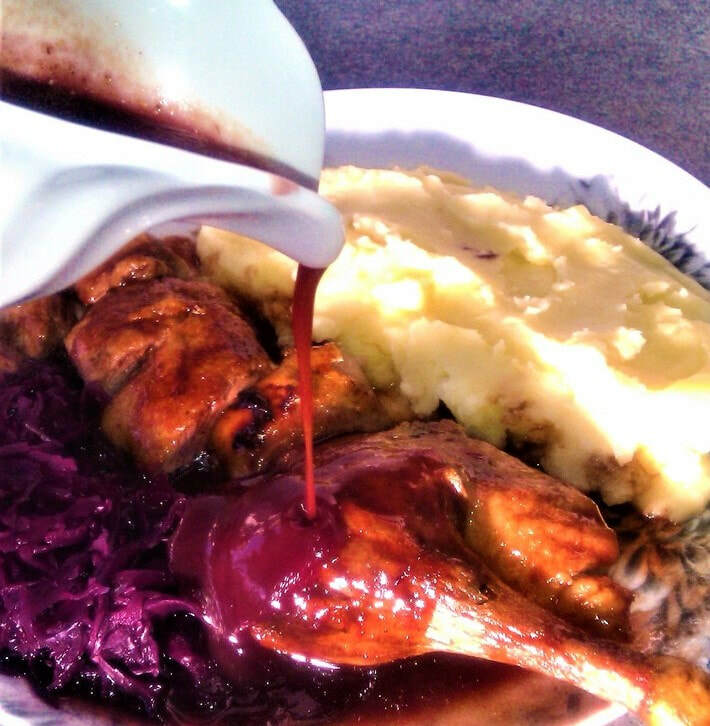 I serve this with mash potatoes, red cabbage and this wonderful Shrewsbury sauce. 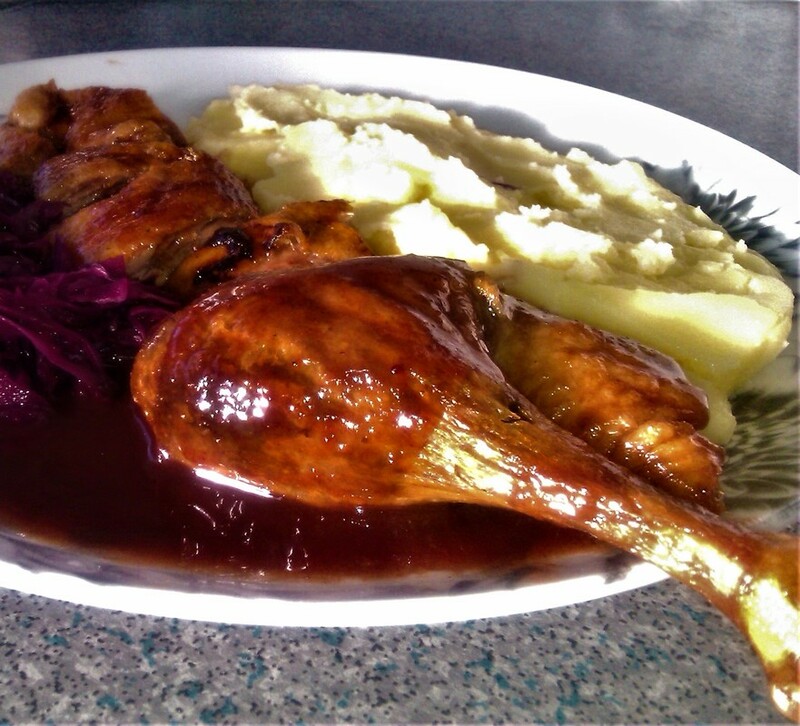 If you can't get a Goose you can always buy Duck instead and you can serve this with roast potatoes and stuffing. 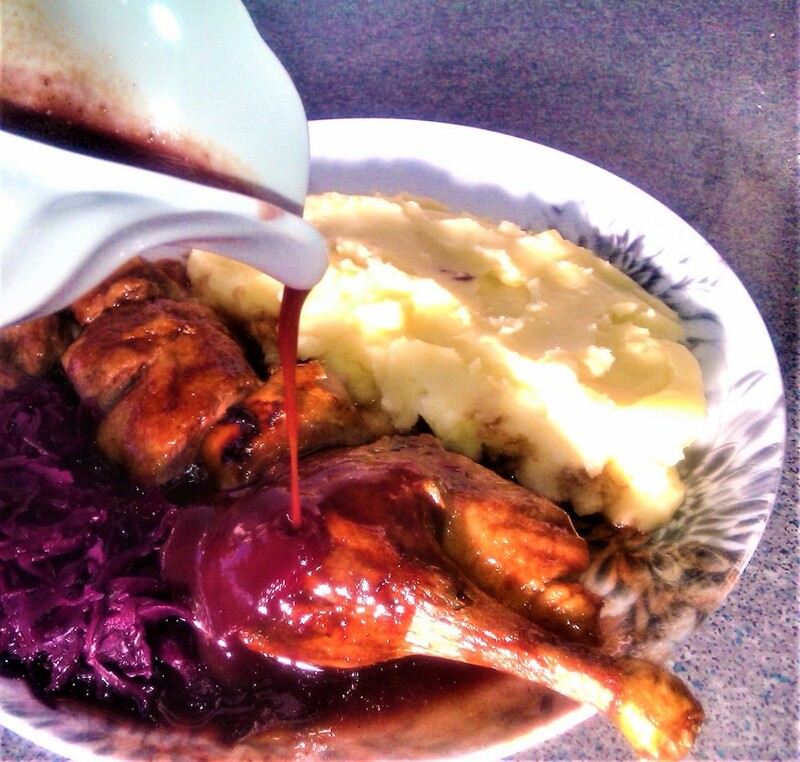 Shrewsbury sauce is often paired with Lamb, but can be used for Duck, Goose, or even Turkey. 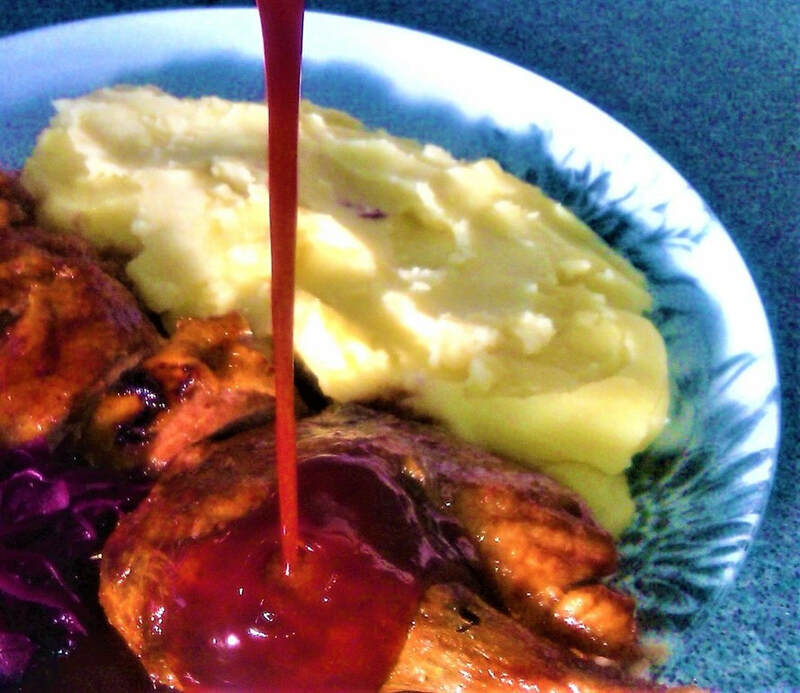 The basis of the sauce is red wine, redcurrant jelly and rosemary. A little bit of tomato paste and lemon peel really lift the flavour. Mustard is often used but I leave it out. Here is the recipe for one of my favourite Holiday meals. Bring a large stockpot to a boil; adding the stock/cubes, then the wine sugar, and redcurrant. Add the onions and garlic, the lemon wedge, the sauce, the Rosemary, and the strained drippings from the Goose, preferably with most of the fat removed. Boil on high for approx 15-20 minutes then turn to a steady simmer on lower heat until the sauce becomes thicker and more flavourful. Season with salt and pepper to your taste. Once done strain through a kitchen sieve, and serve warm pouring the sauce over the plated Goose. Sprinkle salt inside the Goose after removing gilblets if there are any. If you have giblets use them in the gravy. Then sprinkle a small amount of light soy sauce inside the cavity, add 1 onion halved and 1 garlic bulb halved. Tie the legs with twine and then sprinkle salt all over the Goose. Also add a light sprinkling of pepper. Goose is a big bird so about 1 tbs of salt would be sufficient. Place in a large baking tray or if you are worried about the fat add a wire rack into the baking tray. An average Goose will take about 2 hours to roast. But see the packet for an approximate time. Place in the oven and let it roast for the required time. ​Check 40 minutes into cooking and if you think the temperature needs turning down then do so to about 180C. If you think the Goose will burn cover with foil. Leave the Goose to rest for about half an hour before serving.